Bee-Bot and Blue-Bot are exciting new robots designed for use by young children. These colorful, easy-to-operate, and friendly little robots are a perfect tool for teaching sequencing, estimation, problem-solving, and just having fun! Accessories specially designed for Bee-Bot that enhance using Bee-Bot in the classroom or at home. These colorful mats offer a great surface for Bee-Bot to run on. 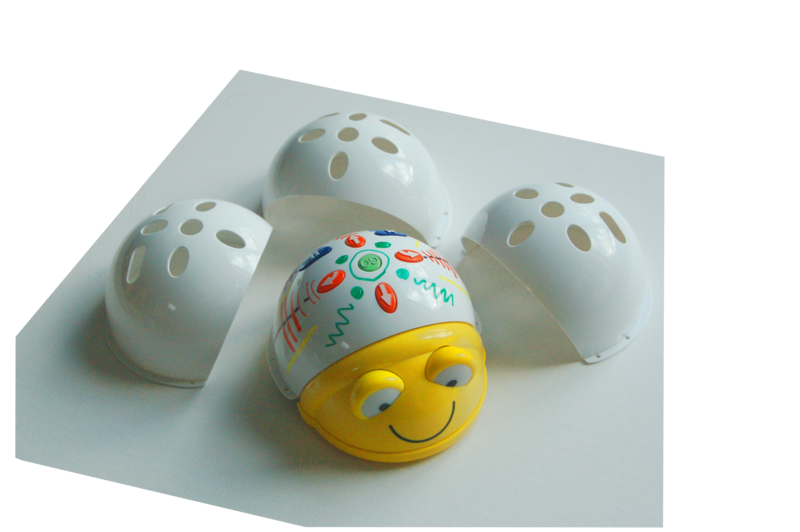 Bee-Bot is a great teaching tool and Terrapin offers a variety of materials to guide its use in the classroom. Pro-Bot is the latest in Logo technology. A turtle robot, cleverly disguised as a race car, Pro-Bot offers students an enticing, engaging, and hands-on experience with Logo programming as well as robotic controls. Items to enhance the use of Pro-Bot. Convenient vinyl surfaces on which Pro-Bot can travel and draw. The Pro-Bot Route Mat offers many roads for Pro-Bot to travel. The Pro-Bot Route Mat offers many roads for Pro-Bot to travel. Choose a route and then program Pro-Bot to follow it. With its multi-colored criss-crossing roads, the Pro-Bot Route Mat offers unlimited challenges for designing Pro-Bot trips. Program Pro-Bot to follow a square or rectangle, traverse a circle or triangle, or take the route of your choice. The many possible routes and multiple angles challenge students to develop their skills as they send Pro-Bot on its way. The Route Mat is made of durable vinyl and measures 42" by 60". © 2016 Terrapin Software. All Rights Reserved.